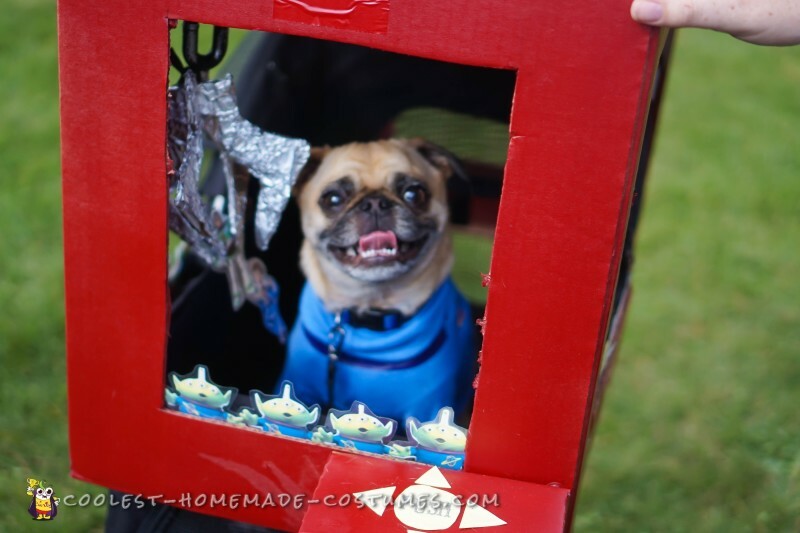 After not winning a costume contest for my dog being scuba dog last year, I decided right then and there that I needed the best costume for this year. I had it planned out a year in advance so I didn’t even know I would be having a baby at the time. 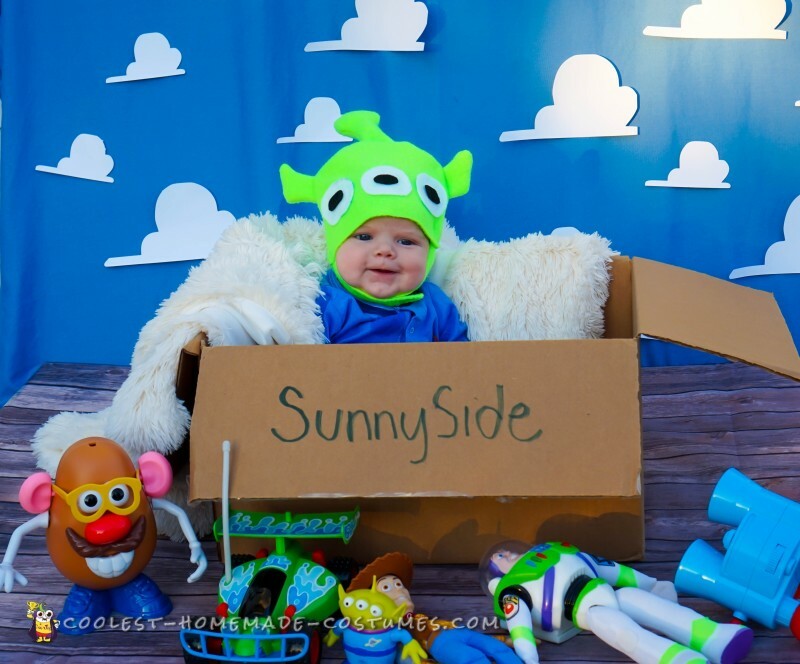 Once I found out I was pregnant, I knew the baby had to have the same costume. 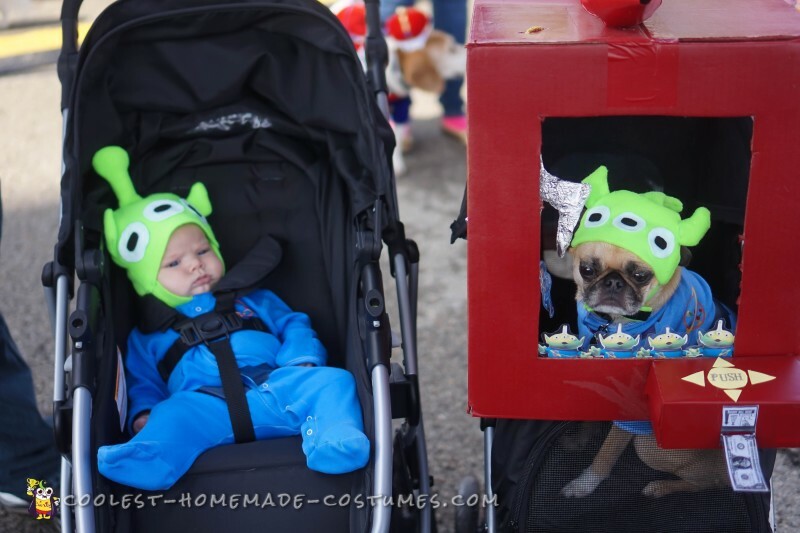 They both went as the green little aliens from Toy Story, complete with a claw machine that goes over either the baby’s stroller or the doggy stroller. I sewed the hats out of fleece and put elastic for a chin strap and a reinforcing Velcro strap. I stuffed the antennas with stuffing. The eyes were made from felt. Their shirts were both bought plain white and I dyed them blue. I made the logos using heat transfer vinyl from my silhouette machine. 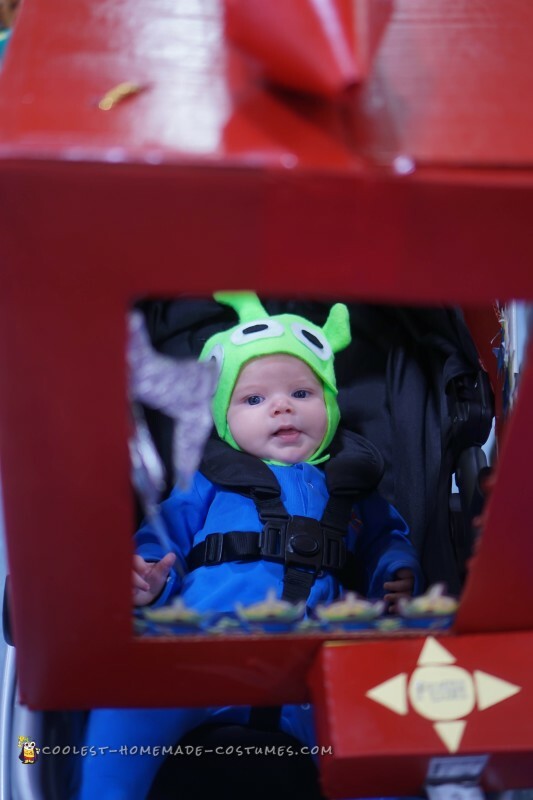 The claw machine was made using a box. 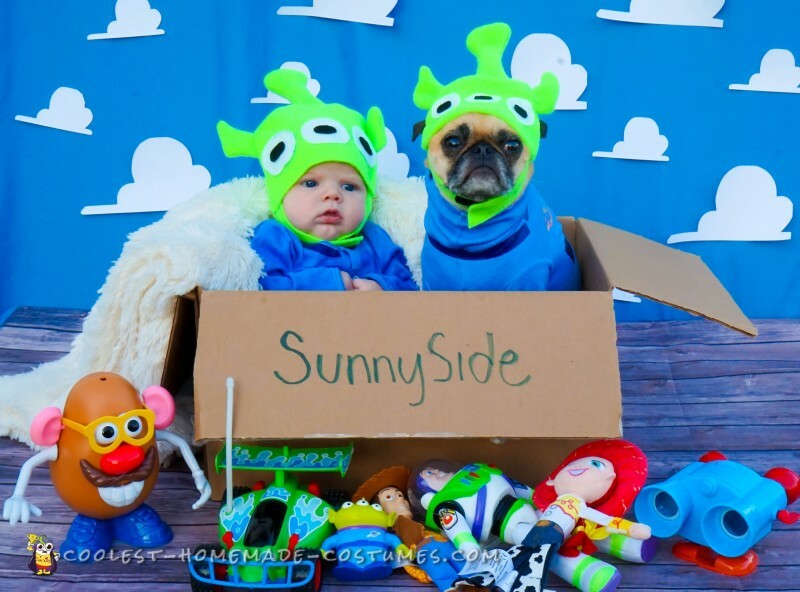 I printed out aliens and laminated them to put around the box. 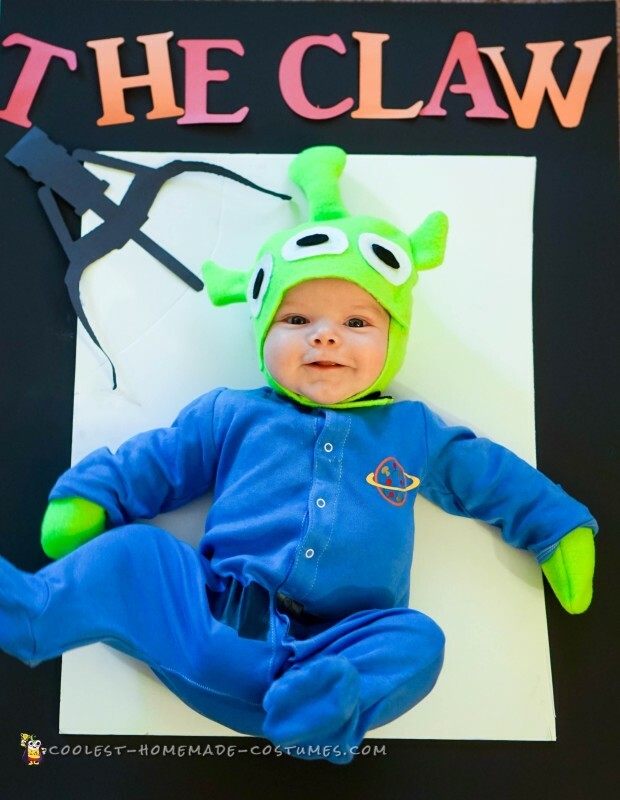 I made the claw out of cardboard and covered it with aluminum foil. I glued a laminated picture of Buzz and Woody to the claw. I cut a hole in the top of the box to attach the claw with string and a Halloween chain decoration from the dollar tree. I cut a granola bar in half and attached it out front with a dollar bill on it. The rocket on top is made from a tube that a package came in, a disposable oil funnel and cardboard. The logo was cut from its silhouette using vinyl. 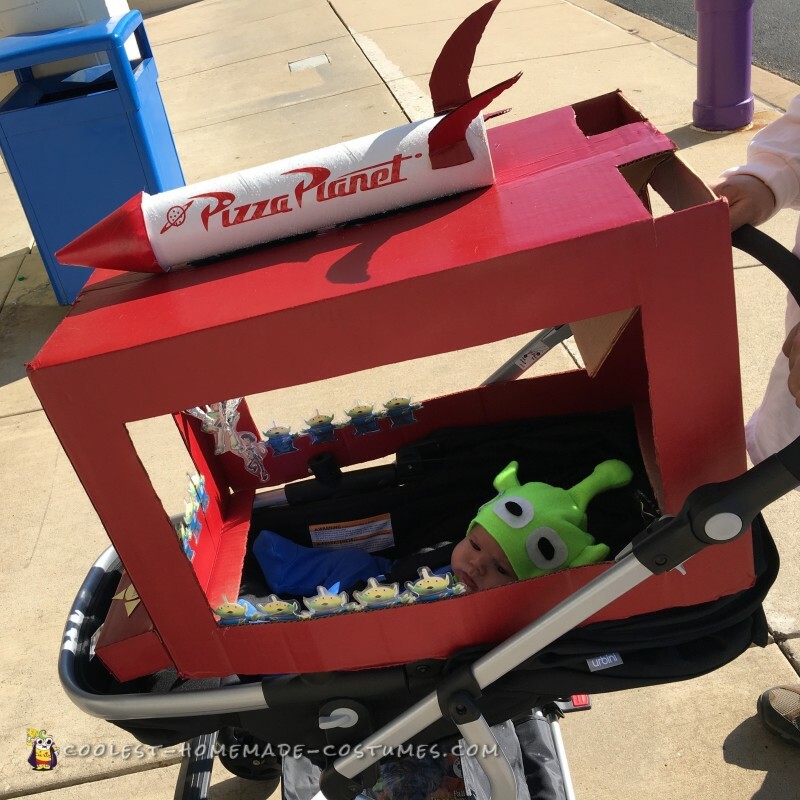 The Pizza Planet delivery men costumes were both made from the heat transfer vinyl. 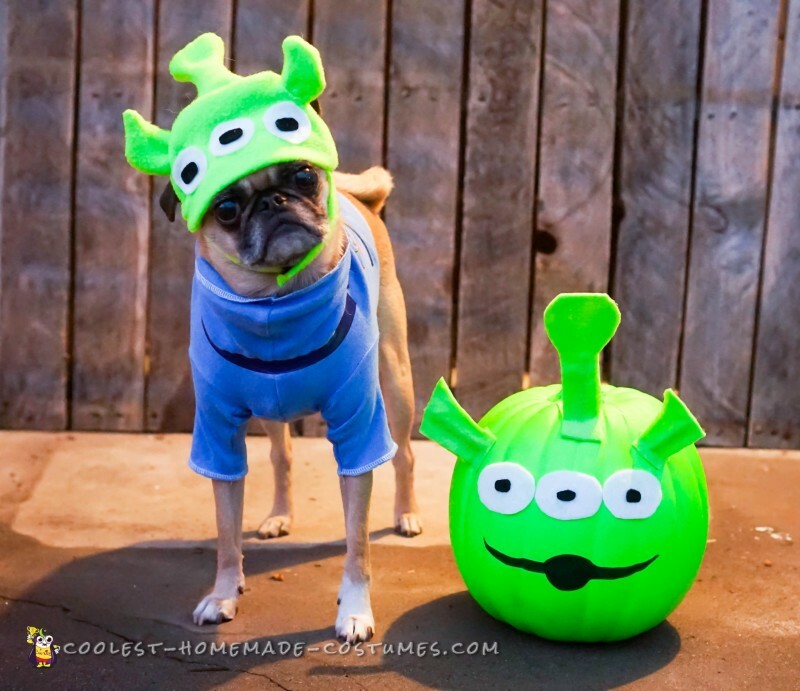 So far everyone LOVED these at both dog and baby events. 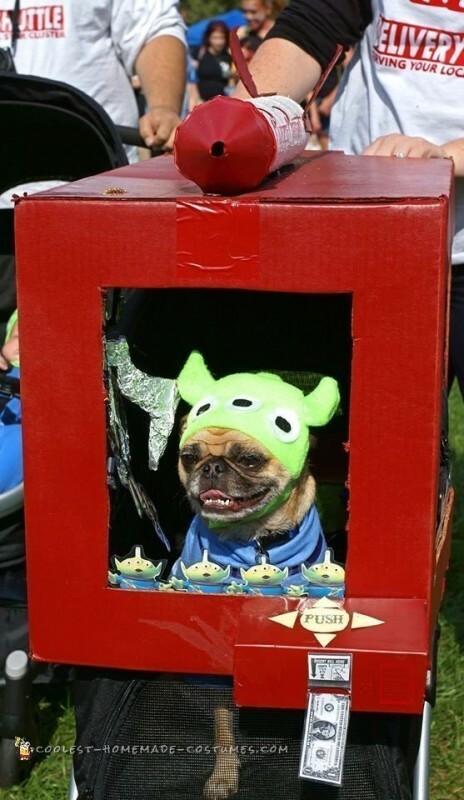 The dog won first place at Pugtober Fest wearing this costume. 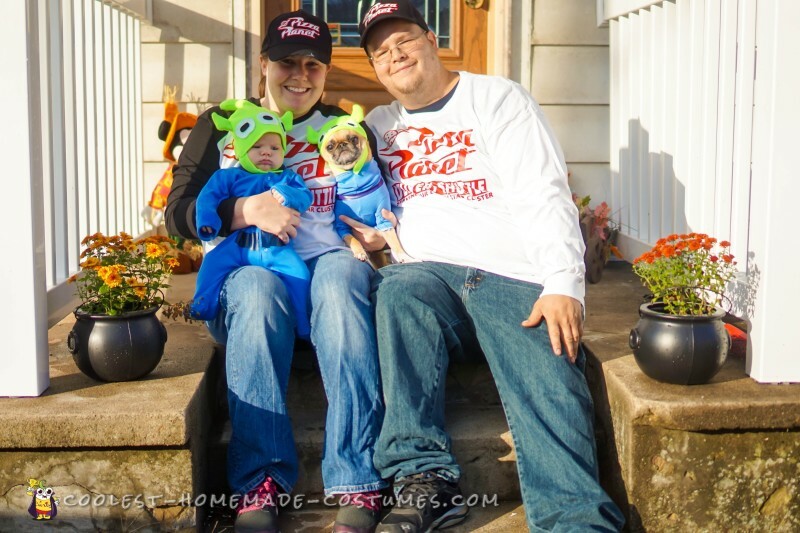 As a family, we won Best Family Costume from Pet Walk of the Living Dead/Costume Contest. We are still doing some events and hope to do just as well.